Our developer clients in North London had a triangular piece of land at the rear of one of their properties that was detached from the rest of the garden. HEAT have designed a stunning two-storey family home for this sensitive site. 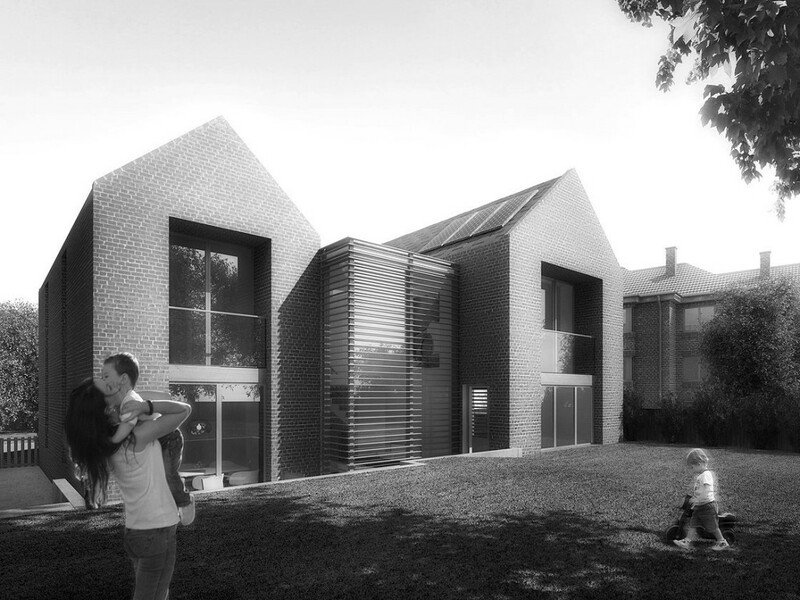 To reduce the impact of the development the volumes are broken up into two brick gabled volumes linked with a lightweight glazed bridge which provides all the circulation. The effect is to create a five bedroom 3000 sq ft house with integrated garage, but to make it appear less significant in the streetscape. A mature English oak in the garden has been retained, providing shading from the Southerly aspect in the summer. The clients for a new-build house that we completed previously in Hampstead asked us to look at creating an art gallery extension on the neighbouring site. The design would have to integrate with the existing house and be of superlative quality. It would incorporate an extension to the underground garage, guest accommodation and an event/gallery space looking into a courtyard with a mirror plane of water. 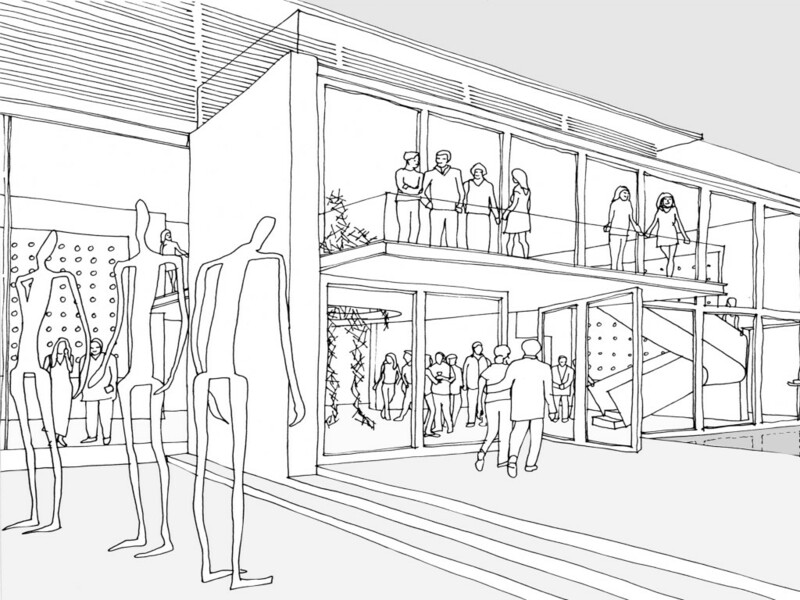 Our response was to sink the gallery one level down and create a large internal courtyard space with internal and external sculpture galleries. Having previously worked on a large contemporary new-build house in the Bishops Avenue in Hampstead, we were invited to assist in modifying a recently constructed house nearby. 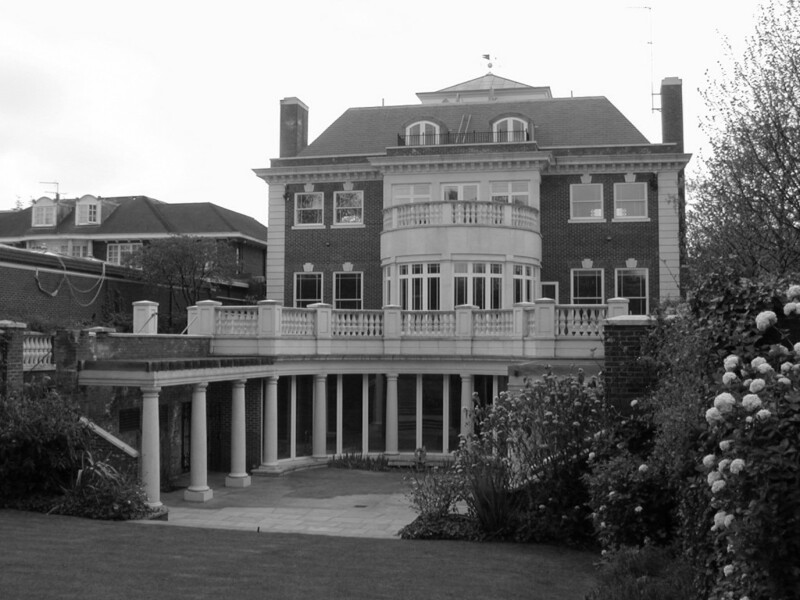 Working on behalf of Alhadeff Architects, HEAT obtained planning consent for alterations to this large private house to suit the new owners. The layouts were revised to be more family friendly and the exterior design was re-visited to make it more contemporary. HEAT also dealt with building control consents.